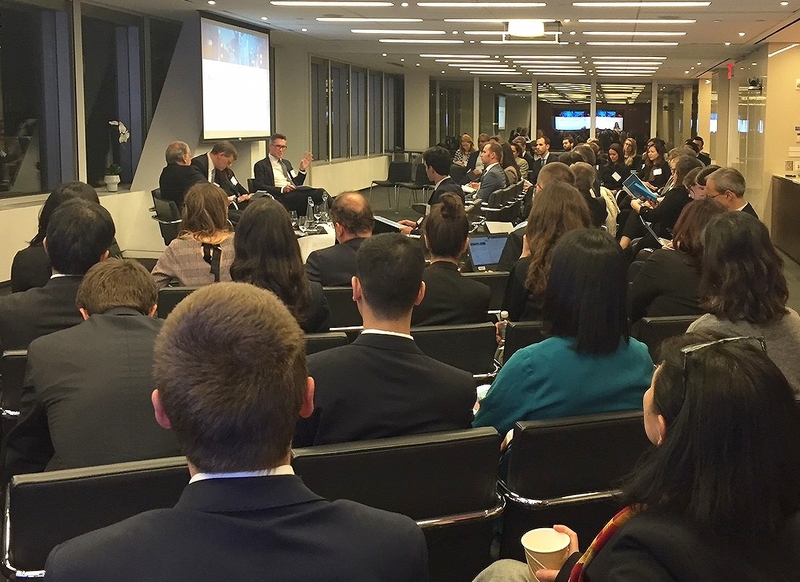 On Wednesday 24 October 2018, an audience of more than 90 State representatives and legal advisers, international law practitioners and academics gathered in Freshfields' New York office for the annual Freshfields Public International Law Seminar, coinciding with United Nations International Law Week. The theme of this year's seminar was "Successfully Managing Inter-State Disputes". Partner Will Thomas chaired a panel comprised of Daphne Hong (Director-General, International Affairs Division, Attorney-General’s Chambers of Singapore), Professor Sean Murphy (Member of the International Law Commission, George Washington University Law School) and Eduardo Valencia-Ospina (Chair of the International Law Commission, former Registrar of the International Court of Justice). In a lively question-and-answer session, the panel explored the various challenges that can arise during the life cycle of an inter-State dispute, from the initial steps when a dispute emerges, to the use of non-binding dispute resolution, binding third party dispute resolution - for example, before the International Court of Justice or arbitration under the UN Convention on the Law of the Sea - and, finally, post-judgment or award implementation. These issues and more were explored from the perspective of States, institutions and outside counsel. 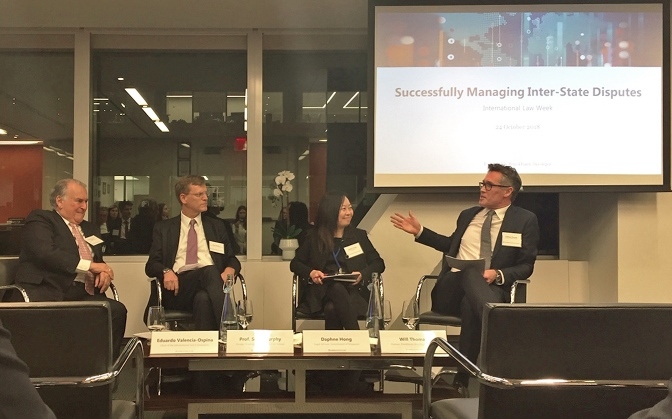 Panel members and the audience showed a particular interest in the practical aspects of inter-State disputes, settlement negotiations and the role outside counsel can play to add value to a State’s legal team. The Freshfields Public International Law Seminar is held every year as a side event of United Nations International Law Week. To learn more about our public international law practice, please click here.